For families who have experienced the death of a child, their private tragedy is all too often exacerbated by an inappropriate or incompetent professional response. For the professional charged with the responsibility of having to deal with unexpected child deaths, such as a pediatrician, a police officer, or social worker, this title offers guidance on how to respond adequately to this tragic event but also places the subject in a larger social context, examining the history, epidemiology, causes, and contributory factors surrounding the death of a child. The book also covers the prevalence and types of death, the role of the police in an unexpected child death, how to support families, how to undertake a serious case review, and how to prevent child deaths in the future. Part of the prestigious NSPCC Wiley Series in Safeguarding Children - The Multi-Professional Approach. Peter Sidebotham is a Consultant Senior Lecturer in Child Health at the University of Warwick. His main clinical interests are in child protection, sudden unexpected death in infancy and child development and disability. During seven years in Bristol, Dr Sidebotham helped to build up an internationally-acclaimed clinical and academic service for sudden unexpected deaths in infancy. Since moving to Warwickshire, he has built on this experience to work with colleagues in developing a local service of responding to unexpected childhood deaths. He is a council member with the Foundation for the Study of Infant Deaths and sits on the child protection standing committee of the Royal College of Paediatrics and Child Health. 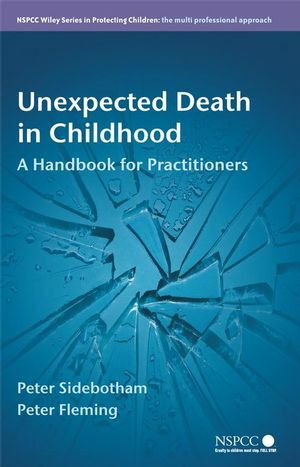 Dr Sidebotham is the director of the Warwick Advanced Course in the Management of Unexpected Childhood Death. He is heading up a research team with ongoing research into chi8ld death review processes. Peter Fleming is Professor of Infant Health and Developmental Physiology at the University of Bristol. His clinical practice is in the fields o newborn intensive care, developmental assessment and investigation and care of children with sleep-related disorders, particularly involving breathing. His research is in the areas of developmental physiology, mother/baby interactions (particularly during sleep) and large-scale studies of factors contribut98ng to sudden death in infants. He also has a particular clinical and research interest in the provision of bereavement care to parents after the death of a baby or child. He is a world leader in research into sudden unexpected death in infancy and has published extensively on this and other topics. He has won numerous awards for his work, including a CBE awarded for services to the understanding and prevention of cot deaths. Professor Fleming is a member of the Royal College of Paediatrics and Child Health, the Neonatal Society, the British Association of Perinatal Medicine, the British Sleep Society and the Paediatric Intensive Care Society.